Hi all! It's Deasy here. 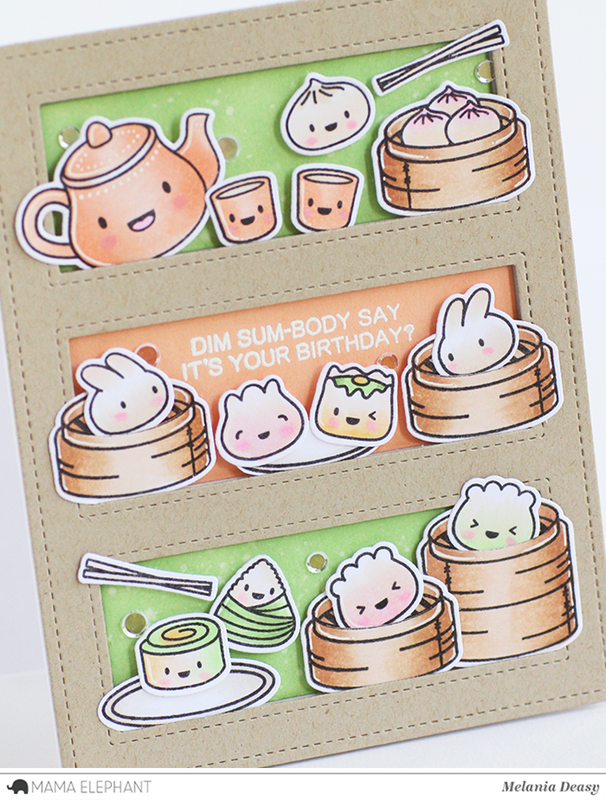 Today I want to share my fun birthday card using Dim Sum Fun and Tri Window Cover dies.It looks so cute together! I stamp, color the images using copic then die cut it. The sentiment is from white embossing powder. To color the background, I used Dye Ink with blending tool then splash water with my brush. 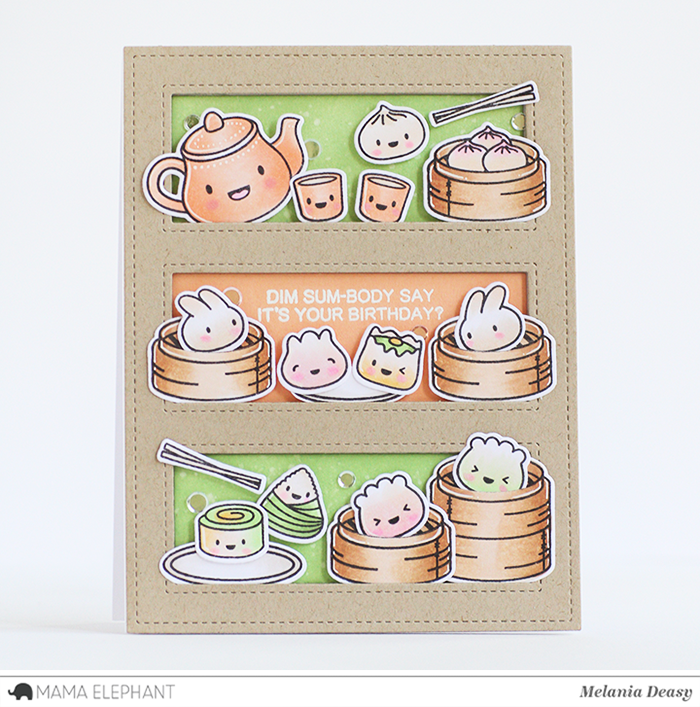 I can't wait to create cute cards like this one with this Dim Sum set! This is just the cutest card! 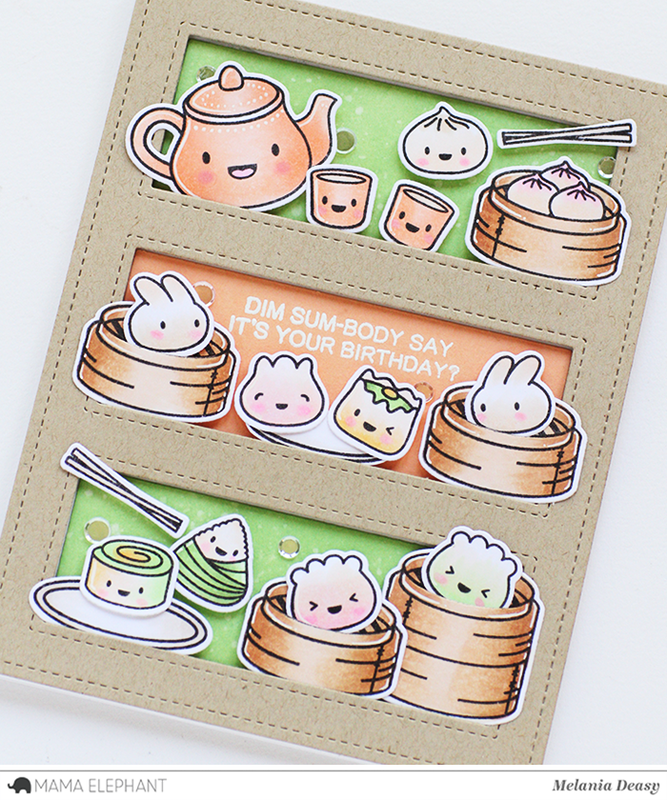 Love all the happy dim sum and how you colored them.